A Daikin Split Unit is today's perfect choice for air conditioning any room or a specific area in both residences and business places in Singapore. It's a practical way to make the room you're in very comfortable for you and your family, employees and clients alike. The Daikin Company has built its reputation as maker of high-quality, reliable, flexible, energy and cost-efficient heating, cooling, and ventilation systems. In addition to these stellar features, the brand likewise provides excellent backup services from highly competent staff and maintenance team. The Daikin Split single-zone system is a fantastic alternative to the bulky box-types and those annoying, noisy backyard compressors. Daikin presents streamlined systems, whether wall-mounted indoor or compact outdoor units for one room or an entire wing. Not only does the system run quietly to your convenience, but the air conditioner itself blends well with any home layout design. The craftsmanship and classy build of each equipment adds instant elegance to any room. It impressively covers up to 1,000 sq. ft. relative to its space-saving modular design. Thinking of a 2-room addition or undertaking a large area in your home renovation? Perhaps you want to achieve different temp levels in 2 separate rooms, such as a nursery or garage office, at once? Then double your comfort with the multi-split system which boasts a smart, reliable, duct-free Daikin Split Unit system. 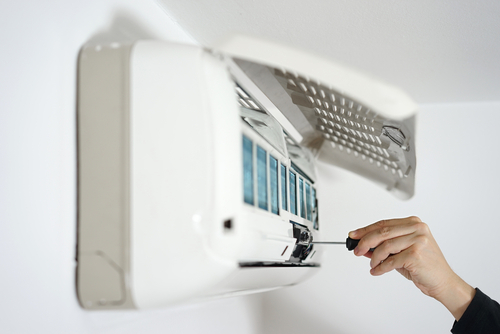 Pioneered by the company, this air conditioning solution is now used worldwide. The Multi-Split unit is ideal as well when the space is limited outdoors or there is insufficient ducting space in the ceiling. The ratio would be one outdoor equipment to two indoor units. This simple yet truly powerful combination arises from the robust outdoor multi-split compressor which was primarily created to cover two zones through the two separate indoor systems. 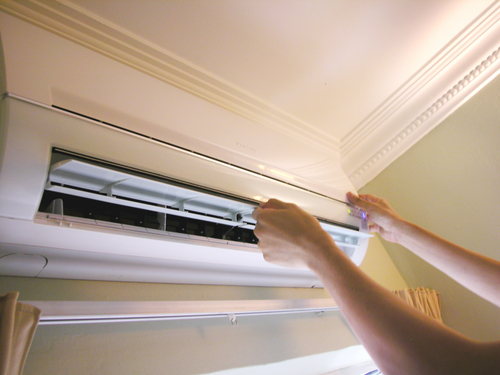 Without the need for major tedious duct work, it can be implemented in any home or business quickly and easily. Like the single-zone system, noisy backyard compressors and bulky window boxes are unnecessary. It also has the same wall-mounted streamlined design that would complement any interior, only you get the benefits of having two in one. The Daikin multi-zone solution has built-in intelligence that provides you with independent zoning control. It allows you to condition up to 5 zones and gain maximum flexibility matched with energy savings. The space-saving, multi-talented VRV-S system's ability to connect 5 indoor units to just one outdoor unit is ideal for homes with many rooms in Singapore, multi-family townhouses, as well as commercial projects like retail stores or small offices. Each compact air conditioner operates independently to generate your desired temperature and level of comfort, right where you need it. 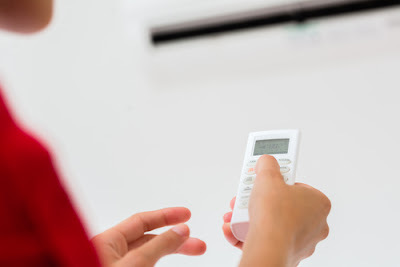 Set the room’s temperature level and the split system will automatically maintain your preferences. It does so individually for each room if your have it installed in two up to five different zones, making constant, subtle adjustments towards ensuring your utmost comfort. The split unit aircon can even be set up to heat amidst sub-freezing temperatures. The remote control it comes with lets you change desired settings at the mere touch of a button. What's more, the system can be programmed while you’re away and have a cool environment or warm welcome greet you once you enter home sweet home, or set off to working through the day. Unlike conventional air-conditioning systems, the type that shuts themselves off upon reaching a set temperature, the Daikin Split Unit runs continuously as it maintains an energy-conserving status. This constant action that avoids excessive heating or cooling during the process is what makes you quite comfortable. To top it off, it helps cut down on energy consumption and there's no worries on receiving dreadful energy bills. Daikin is an exceptional choice for people in Singapore who are looking for an air conditioner that will not obstruct the room's surroundings. The pleasing design of the units can actually enhance any room, while not eating up a huge amount of space. The smooth surface design of flat panel models can be wiped clean and the front panel would easily come off for more thorough cleaning. The technology split units are built upon renders a system that lets people get the most out of their air conditioner, while keeping energy consumption and running costs at a minimum. Advanced inverter technologies and heat pump technologies attain greater efficiency and gives you bigger energy savings. It runs powerfully yet in an extremely quiet manner, which applies on the unit inside the home and the outdoor unit which makes you a very considerate neighbor. Air-purifying filters in the Daikin Split Unit help trap airborne microscopic particles, which could be triggers of allergies and asthma, in order to keep the air fresh and clean. Some models have a photo catalytic deodorizing function, made to decompose odors, neutralize bacteria and prevent viruses from circulating in the home. Daikin systems are duct-free, another feature which makes it stand out from conventional models. Thus, they take less of your valuable time and efforts to install. The Daikin ensemble is comprised of a wide range of products, giving Singaporeans varied options to meet their air conditioning needs in the household or at work, including corporate and industrial requirements. Daikin Split Systems have been designed and customized to suit different needs, whereby you are bound to find the best style and performance to match your interior space among their broad selection of models . The aforementioned features and types of solutions are some attributes which made Daikin the most trusted name in Singapore. No wonder, it's a popular choice for renovations, home additions, new projects, construction, and commercial ventures. The high-capacity, top-performing, cutting edge Daikin Split Unit air conditioners offer unrivaled qualities and energy savings every homeowner and business owners would be delighted to see.